Directed by Claire Marie Vogel, it’s the second of ten music videos the band are unveiling ahead of the record’s release this Friday. 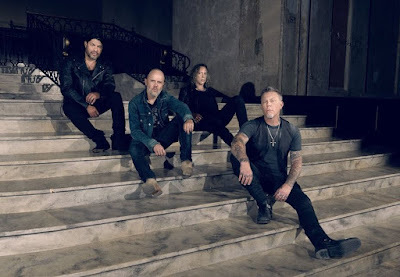 Currently making appearances this week across Europe, Metallica have added a December 17 show in Oakland, CA as part of the WorldWired tour. A Fifth Member presale starts November 17 at 10:00 AM PST; tickets are priced at $25 with all proceeds donated to the Alameda County Community Food Bank. General public tickets will go on sale via Ticketmaster.com for $100 each starting November 18th at 10:00 AM PST.